The process of 3G spectrum auction is over and it could well be only a matter of few months, say roughly around October, before the telecom operators roll out this premium next generation technology and services. And, guess what? Well, no points for guessing, the Mobile Number Portability (MNP) may yet again miss the deadline of June 30 stipulated by DoT. Officials from DoT have hinted that MNP may not take off until 3G services are rolled out by telcos. The reasoning being, that with 3G, all major operators would upgrade their existing networks to prevent exodus of high value subscribers in migration to other platforms under MNP. This draws us to discuss about the financial implications of adopting MNP with respect to operators who have clinched elite 3G airwaves in various different circles. The issue gains even more significance considering that no telecom operator would hold pan-India 3G licenses. With the comfort of retaining the same mobile number under MNP while shifting from one service provider to another, the subscribers willing to access high-speed data services which are not provided by their existing operator, could be ditched in order to avail of better services supported by superior 3G airwaves. Take, for instance, Bharti Airtel has won 13 of the 22 telecom zones on offer. It succeeds in cementing presence in leading circles such as Mumbai, Delhi, Andhra Pradesh, Karnataka and Tamil Nadu to name a few. However, Bharti has lost in key circles such as Maharashtra, Gujarat, Kolkata, Kerala and Punjab. The nine circles where it hasn’t got spectrum accounts for a third of Bharti’s wireless revenues, a factor which could lead to revenue loss especially in post-paid segment. Thus, fragmented picture of 3G footprint across the 22 circles could be of concern for the telcos once the MNP is adopted, providing a hint towards the competitive reality currently facing the telecom industry that the painful time may continue for some more time. The significance of MNP is much higher now as it is not just limited to superior voice related services but also high-end data services. The fact remains that whatever be the cost of expensive acquisition of 3G spectrum for the telcos, the end game could well provide that companies offering such high-end services will have a clear edge in the acquisition and retention of high-ARPU subscribers. 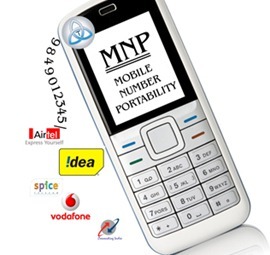 Do you feel MNP should be implemented before roll out of 3G services? but MNP is delayed, 3G is already in. As per http://www.ChangeMyNetwork.com/change.php MNP is delayed again!! MNP is delayed, no doubt. 3G is in, but only from the side of state-owned telecom companies. The next generation technology still needs to be rolled-out by the private sector companies and it is roughly expected around 6 months from the conclusion of the auction process of the 3G airwaves. MNP is taking too long to implement without solid reasons. Its obvious that there must be lot of hidden issues to benefit some telcos by postpone the mnp. MNP – May Not Possible. 3G is taking too long to implement without solid reasons. Its obvious that there must be lot of hidden issues to benefit some telcos by postpone the mnp. Obviosly, the MNP will never get implemented before 3G, not even in the three months after 3G. By then, people will buy a second number for 3G and will get used to the two numbers, something which I have already done (have Airtel GSM and Reliance CDMA).